The “Best of Both Worlds” campaign was developed to announce the recent acquisition of Navastone and Perma Paving Stone by Hanson. 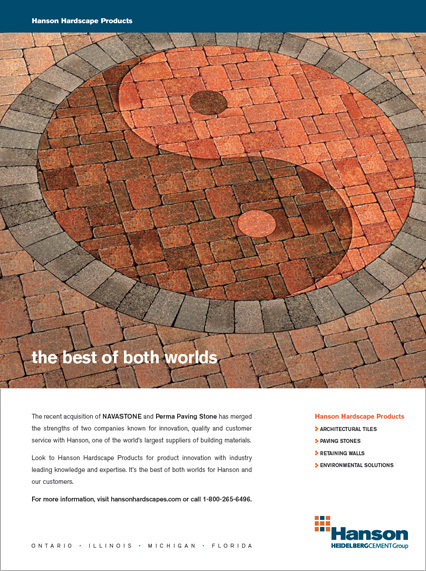 Using the concept of “yin yang” to illustrate the joining strengths of the two companies known for innovation, quality and customer service with Hanson, one of the largest suppliers in building products. 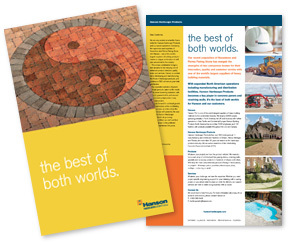 A direct mail piece was sent to new and existing dealer networks along with an ad appearing in a popular trade publications. 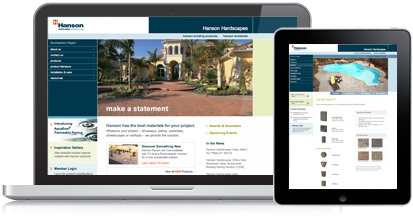 The Hanson Hardscapes website was designed to accommodate audiences from different regions and to simplify the hardscape selection process. Large photos, extensive product galleries and detailed product specifications were added to enhance the user experience. 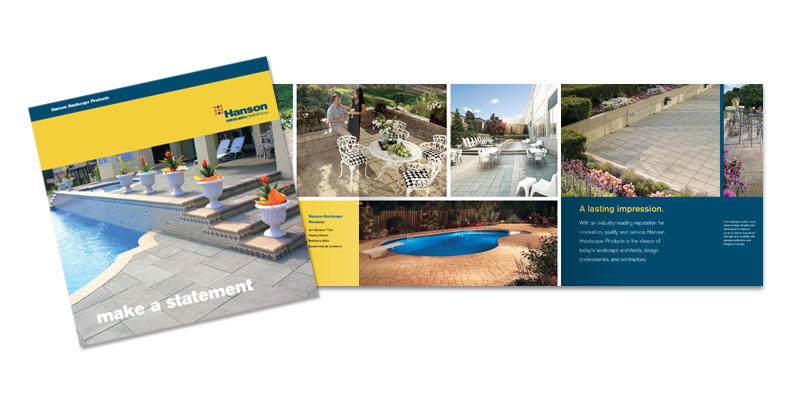 The most effective way to show consumers the beauty and benefits of Hanson products is to showcase them using large application shots. 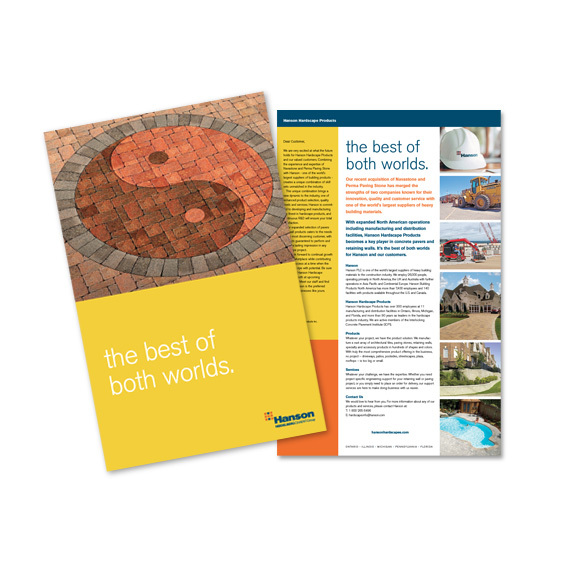 We developed a format to do just that, a framework for all brochure was to capitalize and maximize the use of the page with large photography, minimizing copy and white space.